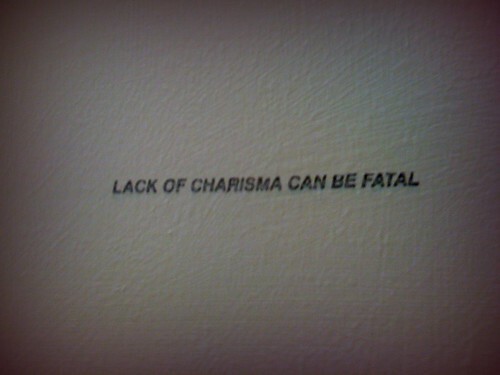 LACK OF FATALISM CAN BE CHARISMATIC. whew! I don't think I am in the running for death or acute cute philosophy. both statements are true. i hope it is also true that you're up for another round of weasel the weekend of july 18.